We only have a limited number of trees that act as seasons signposts, where Red and Orange mean slow down and Green means go outside. So we get to enjoy the leaves changing colour and yelling to all of us that the great season of Autumn has arrived. 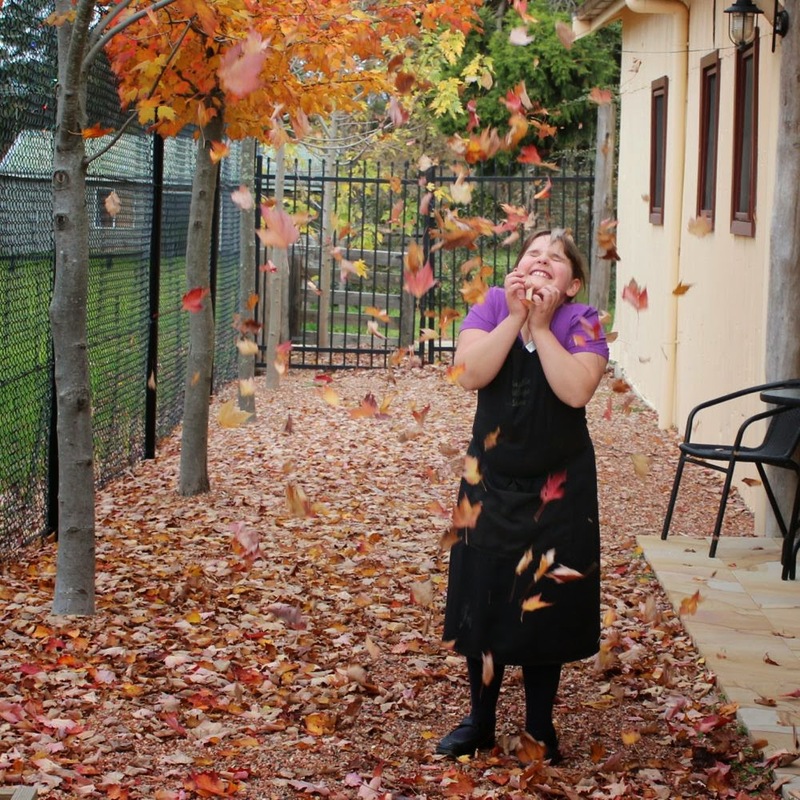 I took this photo of Rose playing with the leaves at the local shop. Less than a week later all the leaves are gone. No more playing with the leaves. When Rose was born almost ten years ago this time was Spring, with all the trees bursting with new green life and the weather warming up. She doesn't remember, other than through our photos, but we still remember the great time we had living in Georgia.